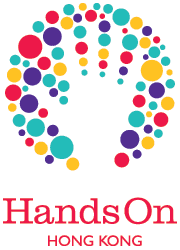 HandsOn Hong Kong (HOHK) is a non-profit organization dedicated to supporting Hong Kong's social sector through the mobilization of volunteer services. Founded in 2007, HOHK runs more than 100 volunteer activities each month, working with 70+ nonprofit partners across the community to serve those in greatest need, including children and youth, the elderly, ethnic minorities, homeless people, refugees, people with disabilities, animals and the environment. In 2016 alone, and with the support of dedicated volunteers, volunteer leaders and community-minded corporations, HOHK organized 1,600+ volunteer activities, having an impact on more than 28,000 beneficiaries. To mobilize and empower the community to meet pressing social needs in Hong Kong through volunteer services. An engaged and caring community that gives its time and talent to transform Hong Kong. HOHK is a legally registered charity under the name "HandsOn Hong Kong Limited”. We are an affiliate of the international HandsOn Network and Points of Light, the world’s largest organization dedicated to volunteer service, with a network of 250 volunteer action centers to inspire, equip and mobilize people to take action that changes the world. HOHK is an agency member of the Hong Kong Council of Social Service (HKCSS), whose mission is to build a healthy, accountable and responsible social sector in Hong Kong. We are a listed charity on WiseGiving, the branch of HKCSS focusing on financial transparency and accountability, promoting a culture of philanthropy in Hong Kong. HOHK supports the United Nations Global Compact, an initiative of the UN to encourage businesses worldwide to adopt sustainable and socially responsible policies, and to report on their implementation. We embrace the 17 Sustainable Development Goals of the United National and promote them across every volunteer activity we run.